externally. Women who go through this stage experience severe abdominal pain and vaginal bleeding. The chances of this pregnancy are 1 to 2% in millions of cases. If this medical condition is not diagnosed in the early stages i.e., immediately after the confirmation of pregnancy, the woman can experience severe pain and that can lead to losing consciousness and going into shock. If she does not receive immediate medical care, the condition can lead to death also.Such deaths are known as maternal deaths as they occur in the first trimester of the pregnancy. Many reasons have been identified as the root causes for ectopic pregnancy occurring in early stages of pregnancy. Some of them are infertility, a history of miscarriages, pelvic inflammation, smoking, tubal ligation, advancing age, malnourishment, assisted reproductive treatment, etc. Some women do not experience any symptoms of ectopic pregnancy in the initial stages. In such cases, it can be diagnosed only when the condition deteriorates to slipping into shock and death. Usually, the women who have this kind of a pregnancy experience symptoms of Nausea, Vaginal Bleeding, Diarrhoea, pelvic pain, abdominal pain, tender cervix, hypovolemic shock (leads to death), etc. 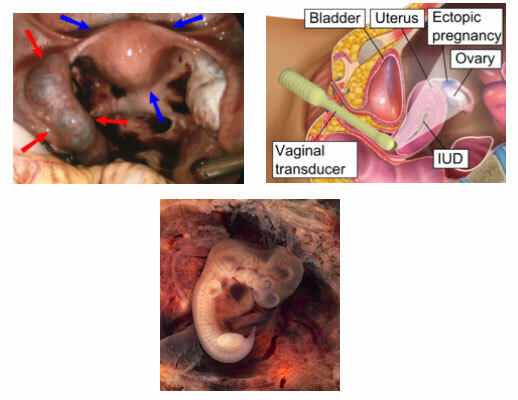 Ectopic pregnancy is a medical condition which can be diagnosed but cannot be averted. An ultrasound can locate this condition and can be treated by laparotomy. 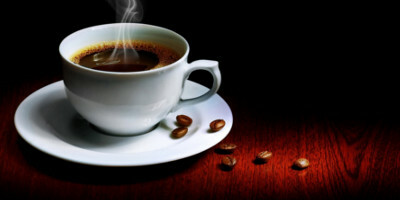 A number of studies have shown caffeine to worsen urinary incontinence. Caffeine is a diuretic which means it can increase your need to urinate. For those who suffer from urge incontinence, caffeine may make the urges worse, Health 24’s resident GP Dr Owen Wiese explains. Artificial sweeteners such as aspartame that are commonly found in diet drinks and sugar-free foods can also cause incontinence. Like spicy foods, sweeteners are known to irritate the bladder. 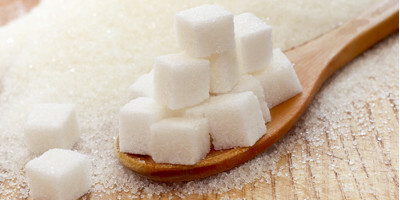 Try adding honey or agave syrup to your tea instead of sweeteners to prevent uncontrollable urges. 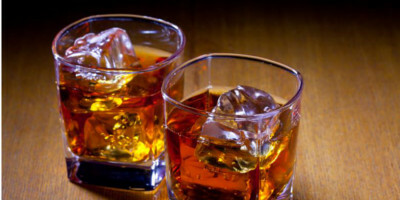 Like caffeine, alcohol is a diuretic and therefore increases your need to urinate. Also, being intoxicated can prevent you from realising that you need to go to the bathroom or from getting to the bathroom in time. You can test what, if any of these things affect your incontinence by eliminating them one at a time and monitoring whether your continence improves or not. Uterine fibroids are the innocuous cyst that grow in the uterus and normally in female while childbearing years. They can operate with surgical removal or myomectomy method. In a traditional myomectomy method, surgeons remove the fibroid cyst through a large incision in the patient’s abdomen, leaving the uterus in place. Although this procedure is an effective approach for women who want to become pregnant, it requires a longer recovery time. 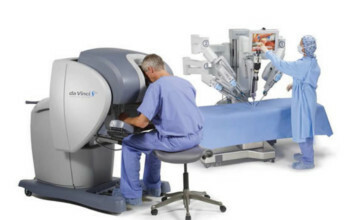 By the use of da Vinci® robotic-assisted surgery, a surgeon can operate the same operation with accuracy through a few small incisions. The patients normally go home within 24 hours rather of staying 2-3 days in the hospital and they are back to work in 1-2 weeks rather than a month with the traditional method. What are the benefits of da Vinci® myomectomy? If you or someone you know has been diagnosed with uterine fibroids, it may be time to talk to your doctor about this surgical option. In some cases, da Vinci® myomectomy may be the best option, especially as an alternative to hysterectomy. Ovarian cancer is the fifth most common cancer in women and the most common cause of gynecologic cancer deaths. In 2008, about 22,000 women will be diagnosed with ovarian cancer, with approximately 15,500 women dying from the disease. Approximately one in 70 women will develop ovarian cancer in her lifetime. While the most common recognized risk factor associated with the disease is advancing age, other factors contributing to an increased risk of the disease include infertility, endometriosis (a condition in which tissue from the lining of the uterus grows outside of the uterus), and post-menopausal hormone replacement therapy. Additionally, some studies have suggested — but other studies have not confirmed — that use of assisted reproductive technologies such as in vitro fertilization may increase a woman’s risk of developing ovarian cancer. It is important to note, however, that these age-independent risk factors do not significantly increase a woman’s chances of developing ovarian cancer, elevating a woman’s risk level no more than two to three times higher than that of the general population. Recommendations for ovarian cancer screening traditionally have been organized into one of two sets of guidelines — one for women at average risk and the other for women at increased risk. Now, with the identification of gene mutations that can increase a woman’s chances of developing ovarian cancer, the set of guidelines for women at an increased risk has been subdivided into two groups, with recommendations for women with a clear inherited risk of developing ovarian cancer due to an identified genetic mutation differing from those for women with a family history of the disease. This concept of variable risk has been incorporated into Memorial Sloan Kettering’s current recommendations for ovarian cancer screening. A history of breast cancer diagnosed at age 41 or older and a) no family history of breast or ovarian cancer or b) no Ashkenazi Jewish heritage (individuals of Eastern European Jewish descent from Eastern Europe). A history of infertility and/or use of assisted reproductive therapies, such as in vitro fertilization (IVF). A history of endometriosis (a condition in which tissue from the lining of the uterus grows outside of the uterus). 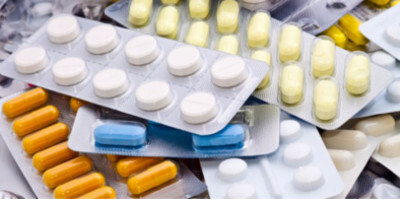 A history of hormone replacement use for the management of symptoms related to menopause. A first degree relative (mother, sister, or daughter) with ovarian cancer. A personal history of breast cancer prior to age 40. A personal history of breast cancer diagnosed prior to age 50, and one or more close relatives diagnosed with breast or ovarian cancer at any age. Two or more close relatives diagnosed with breast cancer prior to age 50 or with ovarian cancer diagnosed at any age. Ashkenazi Jewish heritage and a personal history of breast cancer prior to age 50. Ashkenazi Jewish heritage and a first- or second-degree relative diagnosed with breast cancer prior to age 50 or with ovarian cancer at any age. * These estimates are obtained from studies in which genetic testing information was not available. For individuals who meet the family history criteria but have tested negative for a genetic mutation known to increase susceptibility to the disease, the risk of developing ovarian cancer may be substantially lower. These women should consult a medical professional for screening recommendations. Presence of a BRCA1 or BRCA2 mutation. BRCA1 and BRCA2 are genes involved in cell growth, division, and repair of damage to DNA that occurs naturally during one’s lifetime. An altered, or mutated, BRCA1 or BRCA2 gene increases the likelihood that cancer will develop. The most common types of cancers associated with BRCAalterations are breast and ovarian cancer. Presence of a mismatch repair gene mutation associated with a hereditary cancer syndrome known as Hereditary Non-Polyposis Colon Cancer (HNPCC)/Lynch syndrome. Mutations in the genes known to increase susceptibility to ovarian cancer likely account for a large proportion of the incremental risk among women with a family history of ovarian or breast cancer diagnosed before the age of 50. Preliminary evidence has suggested that women with a strong family history of breast cancer but no demonstrable mutation in BRCA1 orBRCA2 may not be at significantly increased risk of ovarian cancer. For this reason and due to the limitations of currently available ovarian cancer screening tests, which are described below, women in the increased risk category should consider genetic counseling and testing prior to initiating ovarian cancer screening or other ovarian cancer risk-reduction strategies. CA-125 is a protein produced by more than 90 percent of advanced epithelial ovarian cancers. (Epithelial ovarian cancer is the most common form of the disease.) As a result, the CA-125 protein has become the most evaluated serum marker for ovarian cancer screening. In the largest study to date, 22,000 post-menopausal women at average risk of ovarian cancer were randomly chosen to receive either annual CA-125 tests or their usual gynecologic care. In this study, women with ovarian cancer detected by the CA-125 tests had improved survival compared to women diagnosed with ovarian cancer who were assigned to their usual care. While these results were promising, there was no difference between the two groups in the number of deaths due to ovarian cancer. Additionally, although 8,732 women were screened, only six ovarian cancers were detected, with three of these being at an advanced stage. Other studies have suggested that CA-125 also appears to be elevated in two to three percent of normal post-menopausal women. Given this fact and the relatively low annual incidence of ovarian cancer, screening using the CA-125 test has not been effective enough to warrant its widespread use. For ovarian cancer to be detected in one additional woman using CA-125 as the primary screening method, another 100 to 150 women would have to receive evaluation and approximately 30 diagnostic operations be performed. To improve the utility of CA-125 measurements for ovarian cancer screening, a method has been proposed that focuses on the change in CA-125 concentration in the bloodstream over time, as opposed to relying on the absolute value. This approach is being used in an ongoing study in Great Britain, in which 200,000 women will be randomly assigned to receive screening with CA-125, screening with transvaginal ultrasound, or their usual care. Results from this study are expected in 2012. A number of imaging methods have been evaluated for possible use in ovarian cancer screening. Transvaginal ultrasound has consistently proven to be the most promising imaging method for routine screening of ovarian cancer. In the largest study to date evaluating ultrasound as a screening method for ovarian cancer, 14,469 women, most of whom were at average risk for ovarian cancer, were monitored using annual transvaginal ultrasounds. Promisingly, 11 of 17 cancers detected by transvaginal ultrasound screening were diagnosed at the earliest stage of the disease, known as stage I. Critics, however, have pointed out than only two of the 11 stage I cancers detected by transvaginal ultrasound were high grade (meaning that the cancer cells have an aggressive growth rate), compared to all six of the advanced stage cancers. Several studies have evaluated the combined use of transvaginal ultrasound and CA-125. These studies have suggested that the combination of these tests result in a higher sensitivity for ovarian cancer detection, but at the cost of an increased rate of false positive results. In an ongoing prostate, lung, colorectal, and ovarian cancer screening trial, 28,816 women were randomly chosen to receive annual transvaginal ultrasound and CA-125 testing. An additional 39,000 women were randomly assigned to a control group in which they received only their usual gynecologic care. The positive predictive values for an abnormal test were one percent for transvaginal ultrasound and 3.7 percent for CA-125. When both were abnormal, this value increased to 23.5 percent. Final results, including impact of screening on ovarian cancer mortality, are expected in 2015. Ovarian cancer screening is not recommended. 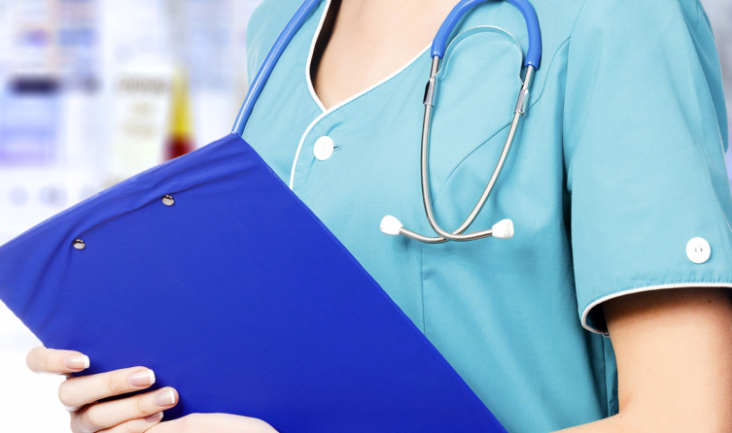 An annual gynecologic examination with pelvic examination is recommended for preventive healthcare. There is no clear evidence to suggest that ovarian cancer screening with currently available methods will result in a decrease in the number of deaths from ovarian cancer. 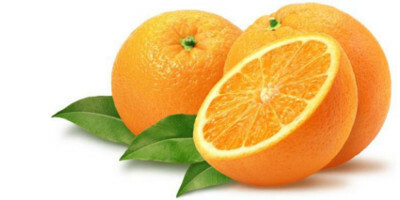 If, after careful consideration of risks and benefits, ovarian cancer screening with serum markers such as CA-125 and/or transvaginal ultrasound is to be pursued, it is recommended that such screening be done within the framework of research studies to evaluate the efficacy of this approach. Genetic counseling may also be helpful for women in this group to better clarify the risk of ovarian and related cancers. While it is not clear that ovarian cancer screening will result in a decrease in the number of deaths in women at inherited risk, those who have mutations in ovarian cancer susceptibility genes should undergo ovarian cancer screening using a combination of transvaginal ultrasound and CA-125 testing. For women with mutations in BRCA1 or the mismatch repair genes, MLH1, MSH2, and MSH6, this screening should generally begin between ages 30 and 35. For women with mutations in BRCA2, ovarian cancer screening should be initiated between ages 35 and 40. 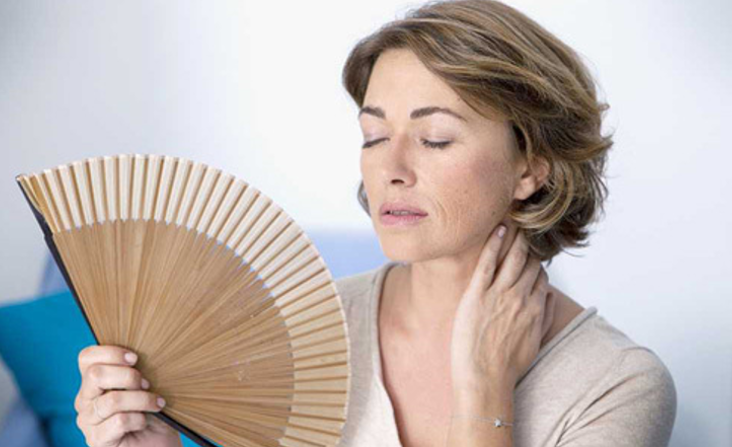 Hot Flashes and Night sweats related to Menopause are not Short term. More than half of women may face these unpleasant change-of-life symptoms for seven years or more, a new study finds. Low doses of oral contraceptives can relieve hot flashes and night sweats for women whose symptoms start before they go through menopause. Once they go through menopause, if they want to avoid hormone replacement therapy for an extended period, they “may then want to switch to a non-hormonal treatment. 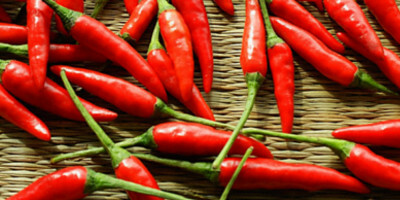 Also, there are some simple suggestions that may help to relieve from hot flashes. These include avoiding alcohol,caffeine, , smoking and spicy foods; drinking cold water, and keeping one’s room cool. Women can also try some alternatives to medicines such as acupuncture; yoga; slow, deep breathing; and meditation these techniques also work sometimes in some women. Those who had hot flashes and other menopausal symptoms before the transition to menopause suffered longest — 11.8 years was the midpoint for that group, the researchers said. And women who underwent early menopause suffered symptoms for roughly 9.4 years. Women whose hot flashes and night sweats started after menopause fared better — reporting symptoms for a little over 3 years on average, the researchers found.